Three weeks ago released, romantic drama Luka Chuppi has enjoyed outstanding run on box office in its early weeks. Kartik Aaryan and Kriti Sanon starrer, it has been out with huge buzz and taken excellent start globally. The movie received positive reviews from everyone and gained strong word of mouth. 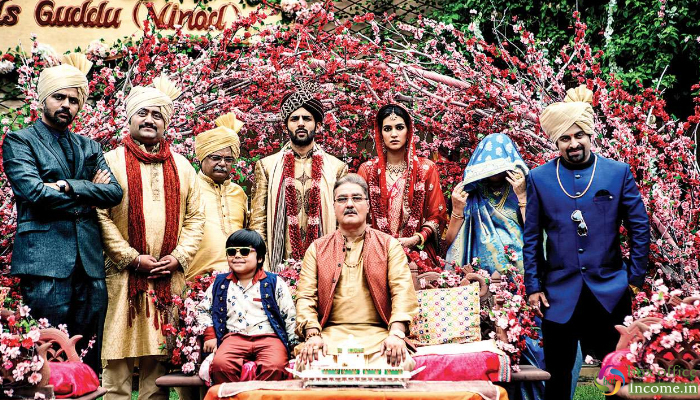 In its opening week, Luka Chuppi witnessed excellent occupancy across the country and reported the business of 53.70 crores, including 32.13 crores of weekend and 21.57 crores of weekdays. In the second week, it recorded usual drop but remained strong and did the business of 21.54 crores including 13.66 crores of weekend and 7.88 crores of weekdays. In the third week, Luka Chuppi faced more drop and raked the decent amount of 11.75 crores including 7.27 crores of weekend and 4.88 crores of weekdays. Now it is running in the fourth week and has Akshay Kumar starrer Kesari in opposite. Despite this, the Akshay starrer reported decent business in the weekend. On the 4th Friday, Luka Chuppi faced some drop and minted 0.61 crore. On the next day, being Saturday it showed little rise and raked 0.81 crore. On the last day of weekend i.e. Sunday, it added the amount of 0.97 crore to its account. With this, 24 days total collection of the movie has become 89.38 crores net on domestic box office.